I live in Canada and was not sure about ordering my first shipment. Selection was great, shipping was fast and I am so pleased with my orders to date. My only problem is narrowing down my orders because I want one of each. 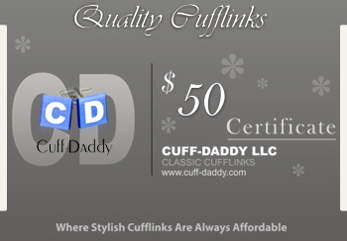 Mike and the team at Cuff Daddy are great! They are very responsive with any issues. I am working on my 4th order now. I have to say I was very please with the merchandise & turn over time. I will recommend you to my friends! Thanks again Happy Holidays!